The Russian Transport Ministry has circulated to the country’s air carriers draft amendments to the Tax Code which VAT zero-rated aircraft imports. Judging by the document that became available to Kommersant daily, the ministry supports the idea of exempting aircraft and aircraft spares imported into Russia from VAT provided aircraft are included in the Russian civil aviation register (aircraft with a passenger seat capacity under 50 are unconditionally exempt from VAT). The project also suggests granting the same VAT exemption to Russian aircraft manufacturers. 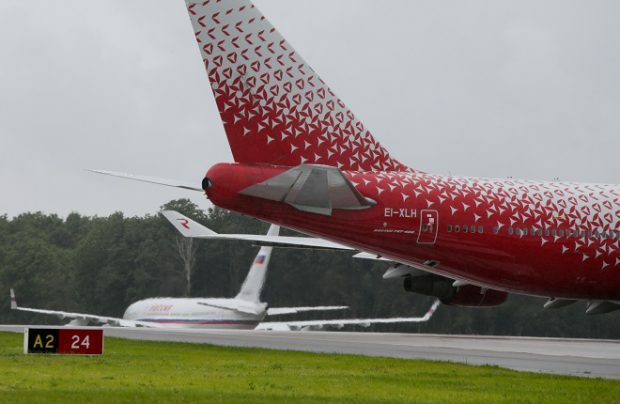 At present, Russian air carriers are temporarily allowed to import aircraft without paying customs duties and VAT thanks to a decision of the Customs Union commission (now the Eurasian Economic Commission). However, an explanatory note to the Tax Code amendments says that the current provision “is having a negative impact on the aviation industry” because civil aircraft are mostly operated under lease contracts with offshore firms. Lease payments that are transferred via third-party jurisdictions amount to billions of dollars a year, while the regulator is unable to control maintenance and repairs. According to the Federal Air Transport Agency (FATA), of 743 foreign-made aircraft that are currently in service in Russia only 133 (including 123 with less than 50 seats) are registered in the country; 582 are registered in Bermuda; 26 in Ireland. In April this year, deputy head of FATA Mikhail Bulanov said that the Russian Air Code and the Federal Aviation Regulations needed to be amended to start the transfer of aircraft onto the Russian register. The next step would be banning overseas registration of new aircraft and launching the transfer of the fleet under Russian jurisdiction.